Nursing Home Or Assisted Living – Which Is Right For Your Family? As our population continues to age, most of us will eventually face the prospect of placing a loved one into institutional care. Traditionally that has meant a nursing home. In the last ten to fifteen years, however, the growth of the assisted living industry has created an alternative to nursing home placement. So which is right for you and your family? First, I would like to point out that, at least officially, Georgia does not license “assisted living facilities”. Georgia law, and the applicable regulations, use the term “personal care home” instead. While the terms are, for all practical purposes, synonymous, I mention the difference so anyone wishing to perform research on this issue will have the most accurate search terms possible. A nursing home is a skilled nursing facility that is licensed to provide nursing care to its residents. They can administer medications, provide nursing assessments and order interventions to prevent injury. 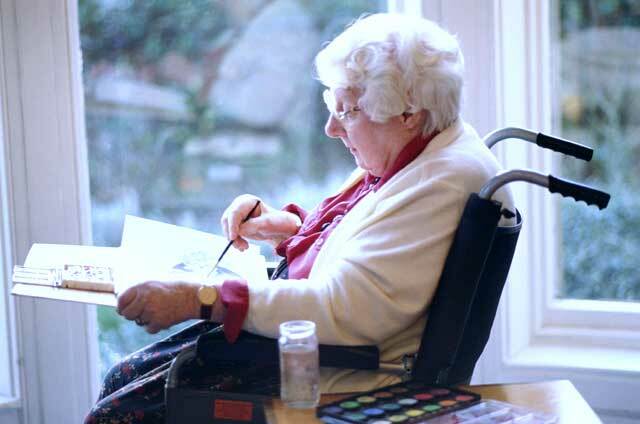 Nursing homes can provide physical, occupational and speech therapy. They can care for residents with feeding tubes and they can provide wound care. None of these services can be provided by an assisted living facility. Nursing homes receive payments from both Medicare and Medicaid and are, therefore, heavily regulated at both the federal and state level. Nursing homes provide a higher level of care than assisted living facilities. Federal regulations mandate minimum nursing hours in nursing homes, which means the residents receive more hands on care. Assisted living facilities, on the other hand, receive payment either from long term care insurance or private pay. A handful of states do allow Medicaid reimbursement for assisted living in certain situations. That is the exception and not the rule. There are no rules or regulations for assisted living at the federal level. Most states do regulate assisted living facilities in one way or another. Some states provide comprehensive regulations. Others, like Georgia, provide regulations that typically create more questions than they answer. To confuse the matter further, assisted living facilities typically offer several different levels of care. In contrast to nursing homes, assisted living facilities cannot provide “nursing care”. The big advantage to assisted living is that it provides residents with far greater independence. The importance of preserving the resident’s dignity cannot be overstated. For the most part, residents of assisted living facilities continue to live life on their terms. If needed, the assisted living facility can remind the resident to take their medications, prepare and serve meals, provide assistance with activities of daily living (dressing, bathing,etc.) and provide “watchful oversight”. What does all of this mean? In short, the sicker the resident, the more likely they need the skilled nursing care, which only a nursing home can provide. This is especially true when dealing with residents who have dementia or Alzheimer’s disease. While assisted living facilities can admit and care for residents with either disease, the further the disease progresses, the more likely it is that the assisted living facility cannot meet the residents needs. Assisted living facilities have significantly less staff than nursing homes. High nurse to resident staffing is perhaps the single most important factor in providing exceptional memory care. Residents with memory impairment simply need more direct care. Memory patients tend to wander and higher staffing levels are required to provide adequate supervision. They also require more assistance with activities of daily living. Patients with memory deficits often forget to eat. Repeated prompting by the staff is typically required to ensure adequate nutrition. Assisted living facilities simply do not have sufficient staff to provide the hands on care more advanced memory patients need. Also, a major factor in determining whether a resident is appropriate for assisted living is whether the resident can ambulate. No matter what anyone at an assisted living facility tells you, bed bound residents are simply not appropriate for assisted living. As experienced elder care attorneys, we’ve seen assisted living facilities try to retain bed bound residents by having a home health agency come in and provide nursing care. Residents who are bed bound require 24 hour nursing care and are not appropriate for assisted living. A home health agency will not see the resident for more than an hour a day. For the remaining 23 hours, the resident’s care falls directly on the shoulders of the assisted living staff. They simply do not have adequate staffing or training to take care of this type of resident. Moreover, bed bound residents are usually at high risk for developing bed sores. Nursing homes typically have better access to pressure relieving devices which are designed to prevent bed sores. Medicare will pay for many of these devices and assisted living facilities cannot bill Medicare directly, so the resident is more likely to receive necessary pressure relieving devices in a nursing home. In making the decision between an assisted living facility and a nursing home, the primary consideration is the physical status of the resident. To this end, Georgia law requires a physician’s certification that the resident’s needs can be met by the assisted living facility. The problem we’ve discovered is that many physicians are not sufficiently familiar with the personal care home regulations to make that determination. To ensure the physician is sufficiently familiar with the admission regulations, I’d suggest printing a copy of the regulations relating to admission and meeting with the physician prior to admission. If the resident doesn’t meet the requirements for admission to an assisted living facility, you will face the daunting task of finding a nursing home. The most important piece of advice I can offer is to personally visit each and every nursing home under consideration. While performing research on the web is important, there is no substitute for seeing the facility first hand. We’ve also found that locally owned nursing homes provide better care than national chains. Other tips for choosing a nursing home can be found at our Nursing Home Resource Center. Finally, you can compare the quality of care provided at any nursing home by visiting Nursing Home Compare. One final point: if you’re loved one is admitted to assisted living, the family must remain vigilant. The resident will continue to age and any chronic process will continue to progress. At some point, the resident’s condition will reach a point where assisted living can no longer meet the resident’s needs. While the assisted living facility is required to transfer residents who are not appropriate, the truth is they have a very real conflict of interest. The facility is receiving a large amount of money from the resident or the resident’s family. While you would like to trust the facility to “do the right thing”, it’s difficult for the people making the decision to be 100% objective, particularly when they stand to suffer financially. Some facilities even offer cash bonuses to their administrators based on the number of residents in the facility! The end result is that the resident’s family must remain proactive in making sure the resident is appropriate for assisted living. Choosing between assisted living and skilled nursing care can be overwhelming. However, the resources provided in this article should help you make an informed decision. If you have any questions regarding the process, please feel free to contact us. You can view detailed information on all personal care homes, including inspection reports, in Georgia at this site, which is maintained by the State of Georgia.